For what is Aromasin mostly used? 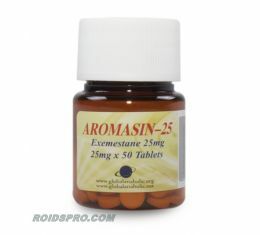 Aromasin or Exemestane pills are mostly used in bodybuilding and professional athlete sport for PCT (Post Cycle Therapy). This product also very popular for treating breast cancer in woman, in 1999. this product is FDA approved and in that time he gets popularity among bodybuilders because it's great and amazing anti-estrogen. Aromasin is in category of AIs (Aromatase Inhibitors) and this is class of anti estrogen drug. Aromasin can bring some side effects such as: headache, hair loss, bone and muscles pain, anxiety and nausea. 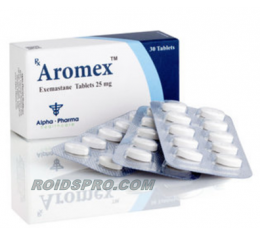 Buy legit and 100% authentic Aromex (Exemestane - Aromasin) 25mg x 30 tabs - Alpha Pharma Healthcare Packaging: 25mg x 30 tablets Substance: Exemestane - Aromasin ..